Silicon Valley is easy to stereotype: the gadgets, the startup perks, the culture and mentality. However, the real reason Silicon Valley captures headlines is its market dominance. The rise of the FAANGs—Facebook, Amazon, Apple, Netflix, and Google—and their trillion-dollar market caps are hard to ignore. While their rapid growth has boosted the economy, it has also raised questions about the tech industry’s dominance and the potential for another “dotcom era” bubble, and bust. However, the power of technology isn’t the sole domain of the FAANGs. In today’s digital economy, technology is becoming more accessible than ever before. It is the fuel that drives entrepreneurship, and it helps businesses of all sizes be more resilient when challenges do arise. AI-enhanced software anticipates what you need. The way that we have interacted with software for the past 40 years—type something in, get something back—will no longer be relevant. Instead, AI-enhanced software will become much more intelligent, using large datasets, workflows, and vertical specialization to push information to you before you even know you need it. More form factors to connect with computing technology. There will be a proliferation of devices and enhanced technologies—such keyboards, track pads, and increasingly, your own voice—that interact with computers. As these technologies become more sophisticated, you may not even have to open an application. It will simply be ready for you when you need it. Where there is data, there will be a device—and opportunities to monetize. Connected devices will be readily available everywhere data is aggregated, in sensors, for example. These connected devices will have a SIM card for connectivity, and a digital identifier that can drive commerce. At the same time, there will be digital channels to buy, sell and manage every type of device and service, both at work and at home. Cybersecurity becomes stronger. As the entire digital economy becomes SaaS driven, data privacy and security will become more important than ever before. The tech industry as a whole needs to make strong cybersecurity a given, and must ensure that businesses and consumers can keep, delete and manage data how they want, whenever they want. Over the next decade, a new wave of entrepreneurs will harness the power of the cloud to innovate faster, create new ways to do business, and change the way we live and work. Terms like “cloud” and “digital” will fade into the background because they will be so pervasive, and SaaS will lose its status as a hot technology, but will gain a more important role as strategic enabler for success in the digital economy. I can’t wait to see what the next 10 years will bring. 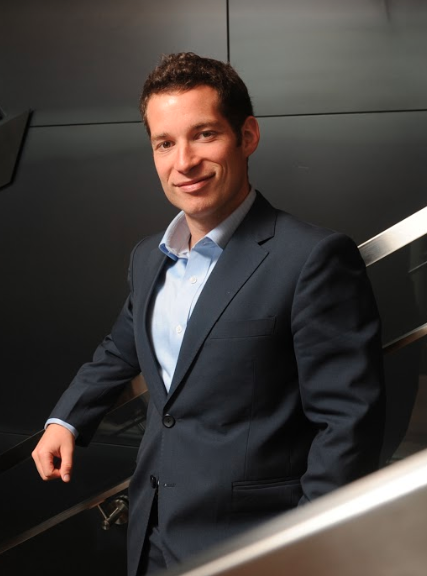 Daniel Saks is President and Co-CEO of AppDirect. An expert in cloud technologies, he was named to the 2015 Forbes 30 Under 30 Enterprise Technology list and has spoken at numerous industry conferences (Web Summit, Collision, and more). He is an advocate for cloud-based delivery and frequently advises Fortune 500 executives on software distribution and cloud strategies. He previously worked in finance and investment banking, and has pursued other entrepreneurial projects. He holds degrees from McGill and Harvard universities.